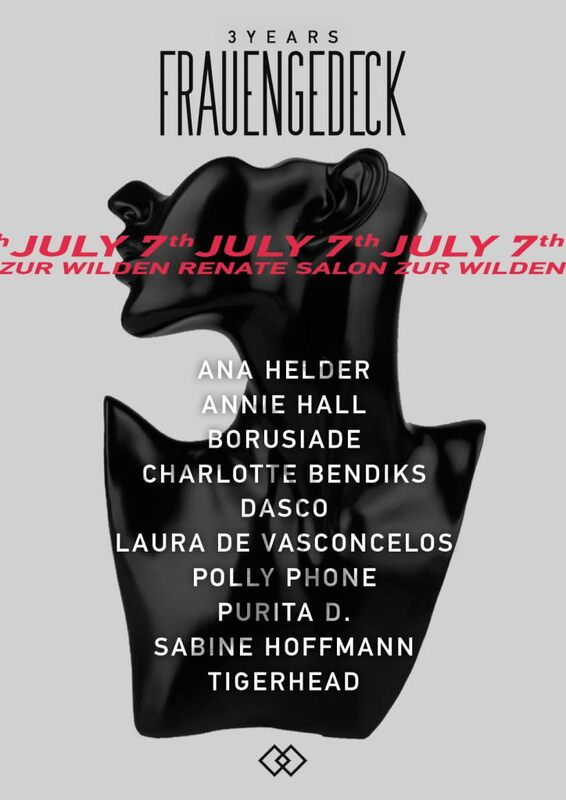 Berlin-based female DJ collective Frauengedeck is celebrating its third birthday this summer with a series of livestreams and events. Starting with a livestream and BBQ at Kreuzberg record shop OYE on July 6th, the month sees a birthday special on Radio Fritz with Beste Modus boss Cinthie and on July 7th, followed by a party at Salon zur wilden Renate with Ana Helder, Annie Hall, Borusiade, Charlotte Bendiks, DASCO, Laura de Vasconcelos, Polly Phone, Purita D., Sabine Hoffmann and Tigerhead that night. On the 20th, the birthday celebrations continue at Sintetik Club in Baku, Azerbaijan; then at Gate Club on the 27th in Batumi, Georgia; and there will be a vinyl workshop for female DJs in Baku on the 22nd, location still TBA. Finally, August sees a livestream from Yerevan, Armenia on the 2nd—location still to be announced; followed by a birthday party at Yerevan's Nine Club on the 3rd.